Karen’s Cow – The Home of My "Big Things"
I got a call while I was having lunch with the Chief Photographer at the Jersey Cafe, a haven for former South Jersey residents. 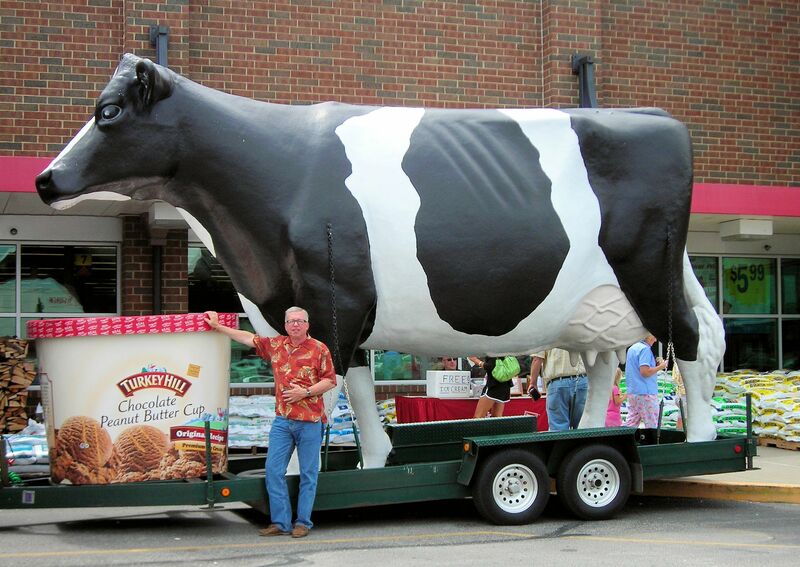 It seems the #1 fan spotted another “Mobile Big Thing.” This large cow and Ice Cream Carton in front of the Kroger. She dropped everything and went up to the man handing out samples to find out how long he was going to be there and where he was going to be next. As you may recall #1 spotted the Kissmobile, the other “Mobile Big Thing.” Now with those two and the Weinermobile it becomes a sub-class along with Stationary and Inflatables. Breaking new ground, thanks Karen!